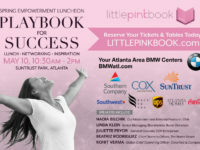 As PINK prepares for the 13th Annual Fall Empowerment Event, we delve more into this year’s topic of Soulful Leadership. The notion of “soul” is often associated with music, spirituality, or home style Southern food. For women in business, it is the next level for success. According to Forbes writer Gaurav Bhalla, soulful leadership is the “transformational narrative” in the age of leadership crisis, employee disengagement, and a serious capsize in public trust. 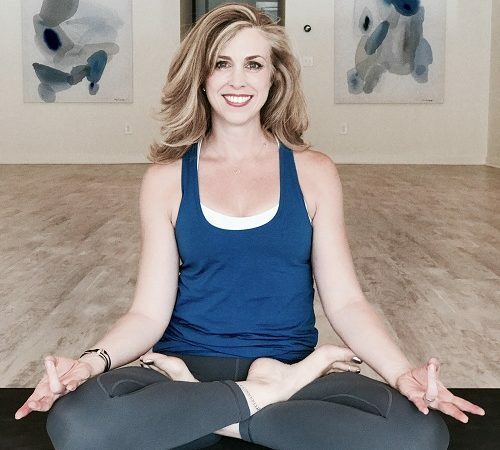 On the balcony of the PINK Loft, overlooking Atlanta’s morning rush, PINK had the privilege of speaking with Westside Yoga founder Amber Barry. Her words on business, leadership, and faith hit the mark, in sync with PINK’s mission to help women leaders tap fully into the practice of Soulful Leadership. Why is the concept of Soulful Leadership emerging as the hot topic? Amber Barry: I feel there’s been an awakening in the business world. Especially as a woman, I think that we need to get in touch with our deepest desires and connect with our souls to shine that light to others. It is something that’s emerging. We are concerned about the hearts of our employees and our customers. I started my career in marketing PR working at MCI and I was in corporate for many years. It was very one dimensional. There’s something inside of me that really wants to light a fire in the community to be healthy. And running this yoga business makes me feel more alive than I ever did. AB: Soulful leaders consider the three dimensions. A soulful leader is more thoughtful and committed to the greater good and trusts that the bottom line will follow. It’s a broader perspective of doing the best you can for employees, customers, etc. How do you incorporate this in your business’s day-to-day operations? AB: Communication is essential. I talk with my employees a lot about the mission of our business. We have a vision statement and mission statement and we want everyone who walks through the door to be comfortable. Communication and inclusiveness is essential. And also checking in is important. I check in with my teachers and ask how we can do better and how we can evolve. How do you separate having a soulful environment from oversharing? Where are the boundaries that keep things, authentic but professional? AB: It’s a constant dance. You have to understand psychology and know that too much choice slows things down. You have to be clear about what is necessary and receive input from the people you work with. We do some kind-of-unconventional things in our studio, but everything is well thought out and comes from a deep place. I also want to know what touches my employees and how we can b make it meaningful to the business. Why is this an especially hot topic now in 2017? AB: Mindfulness has become hot recently. I think that we’re becoming more aware of the importance of not rushing and not allowing the chaos that we used to have in our lives. We’re picking and choosing where to place our attention. The more we do that, the more we push away unnecessary agendas to hone in on what matters most. That connects more to the heart. When did you realize something in your professional life was missing? AB: It was a calling. I really had no desire to do public speaking and get in front of people. But that voice calling me to teach was bigger inside of me. I learned when I follow that voice, amazing things happen. It was like a switch in me was on, and I knew for the rest of my life I was going to teach yoga. Millennials are reaching the age when they are in the job market. How are you using soulful leadership to promote and connect with them? AB: I ask them what they want and try to accommodate. I think buying into other’s dreams is the answer. Ask about their dream and do what you can to make it happen. My studio manager is a great example. She was a student in my studio when it opened. She and her partner had just moved here and she needed a job. I saw her commitment and energy, did an apprenticeship with her, and had her teaching within four months. Now she is the studio manager. All I had to do was ask her what she wanted, and work with her to make it happen. We have a great relationship. She got something she didn’t even realize she wanted, and I got somebody to help me do my job better.